I previously wrote about this product a little over a year in a hair favorites post. So this is going to be a short post, I thought I would update you all on if this is still a good product. So when I first started watching YouTube beauty videos almost 5 years ago, one of the first products I got was this heat protector spray. Before I started using this spray I would use oil, which would leave my hair to greasy. It looked like I was trying to fry my hair! I had no idea what a heat protector for the hair was. I do not believe I had heard of it before. Sadly to say, but it is true. - It's perfect for blow dryers, straighteners, and curling irons. Use on damped hair when blow drying and on dry hair when straightening! This product works and I recommend it to anyone. 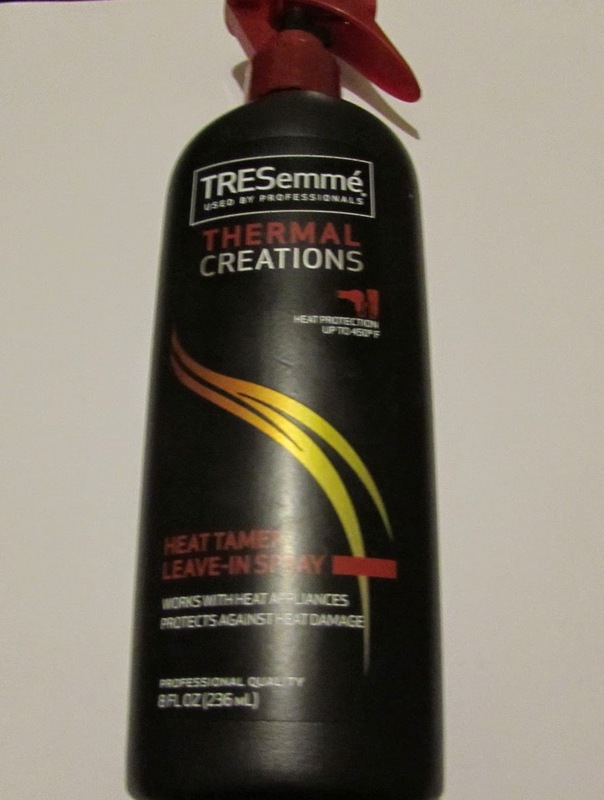 I am not the only one in my house who uses this heat protector spray!